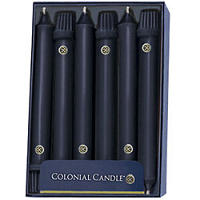 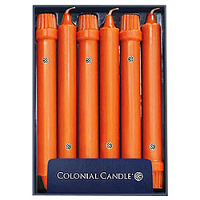 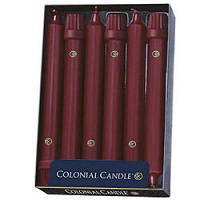 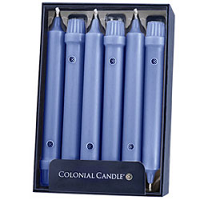 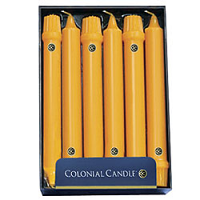 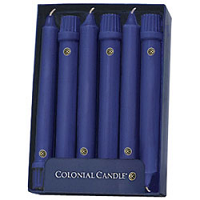 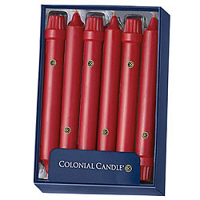 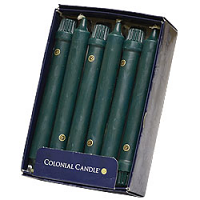 These short taper candles are made by Colonial Candle company. 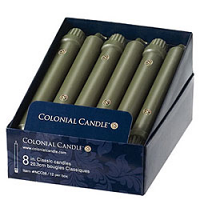 Their 8 inch taper candles have straight sides and are not actually tapered. 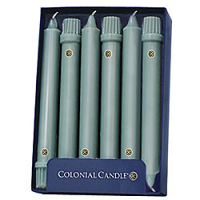 These unscented taper candles are a solid color and will fit into standard size taper candle holders. 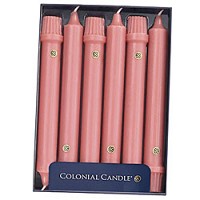 They are made with a cotton wick and are great for creating a romantic atmosphere. 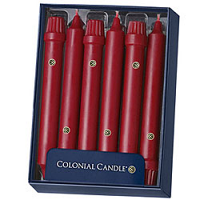 These classic taper candles are sold individually. 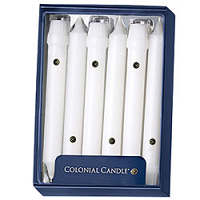 I think the product should have came earlier i had to call after hearing anything about my purchase an i was told when i did call it was been ship that day an i would get a email that did not take place in about 3-4 days it came.